Halloween is one of my favorite holidays, even though I can’t eat candy. To me, Halloween is fun, and it gets me to be creative. I thought I would share this fun, OmniPod Pump & test strip inspired, pumpkin. 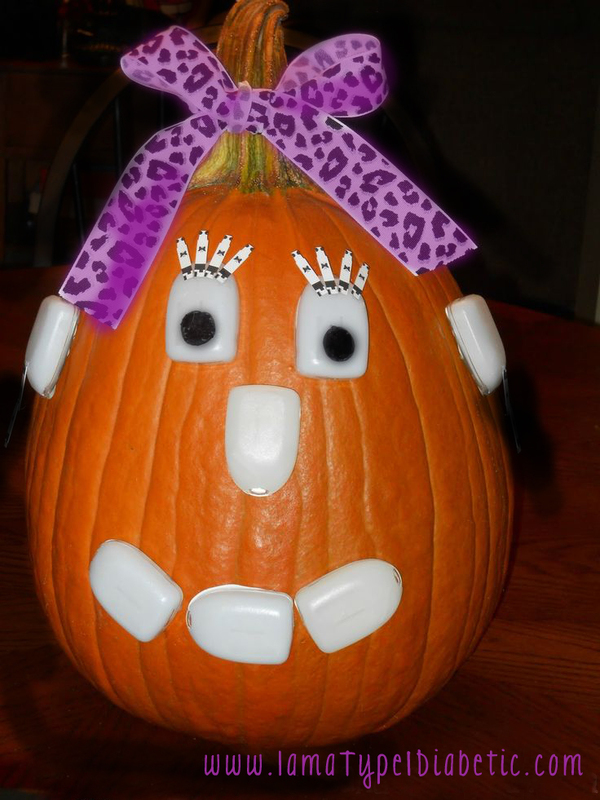 Have a happy and safe Halloween… and may you collect lots of candy for all the low blood sugars in November!